Koshary is a traditional Egyptian VEGAN dish. I note that the negative reviews are exclusively for the meat bowls. 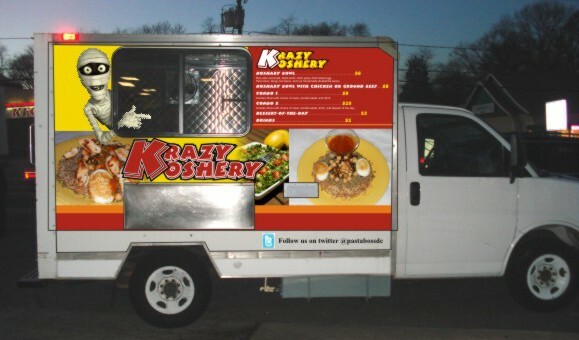 I think this is where the "krazy"
Koshary is a traditional Egyptian VEGAN dish. I note that the negative reviews are exclusively for the meat bowls. 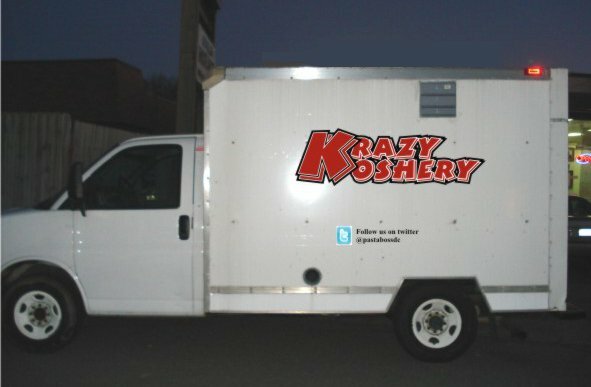 I think this is where the "krazy" goes into koshary. Stick with the original and you can't go wrong! The chicken bowl is pretty great and is a LOT of food. Pretty disappointed in the "oriental salad" though. There's a picture of a real salad on the side of the truck that looked yummy -- what I actually got is veg*all. Based on the reviews I was looking forward to trying this truck. The koshary bowl was ok, and it's true that it was a lot of food. But the "oriental salad" was a three bean salad right out of the jar, the same thing you'd find at a cafeteria or salad bar. The "daily dessert" was fruit salad,right out of the can. The meal was very good. The amount for the money was very good. My only complaint was that the chicken was dry. I've never had Koshary before, so I thought I'd give it a shot since most of the ingredients were things I like. At first I tried it without the vinegar/garlic mixture and it sort of tasted like tomato mac. Then I added the mixture and... WOW. This is awesome. I wish I'd tried some of the hot sauce they offer there, as well. It's a LOT of food, so I also had the second half for dinner the next evening. Is This One Of Your Favorite Trucks? : Might be if they're consistent. I ordered just the bowl option because that is the traditional Egyptian Koshary. The Koshary here is exactly like I remember it from the streets of Cairo. It's definitely a huge portion that will likely last me 2-3 meals, so its a great value as well. Great value with this new truck. I don't think chicken or beer is necessary, though I haven't yet tried that. The vegetarian option is plenty big, though I'd load up with the hot sauce if that is your thing. Great and friendly server as well. You get a lot of food for a good price - this is the first time I've not been able to finish a lunch from a food truck. Very tasty, great combination of ingredients, and an excellent street-food vibe. 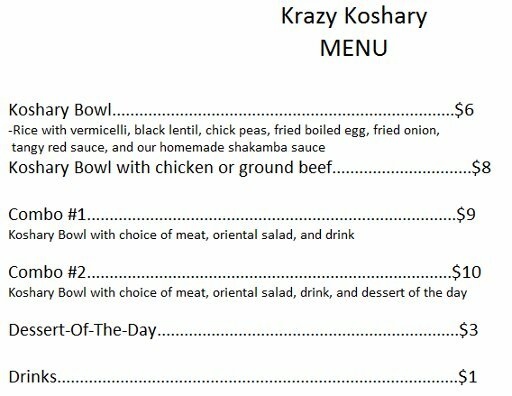 Krazy Koshary serves up rice and bean bowls with a choice of meat. The truck retired and became 70’s Frankfurter on May 1, 2013.